Today I gave P her third hair cut. 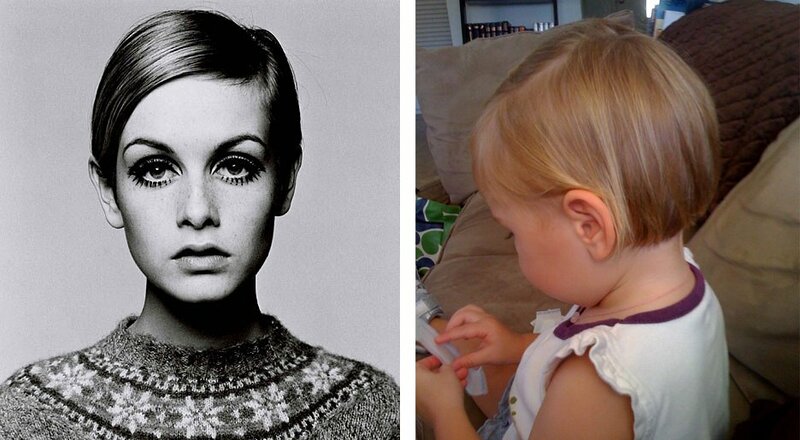 Twiggy is my inspiration for how I style it. For now, I find short hair to be easier for me and P. Also, I’m hoping that my bi-monthly trims will make it thicker. Don’t know if this is fact or fiction.